Have you ever read through the entire Bible? It's a sure way to boost your understanding of God's Word and it's a great help and comfort on the journey through grief! Why not plan now to start the new year with the goal of nourishing your spirit every day? 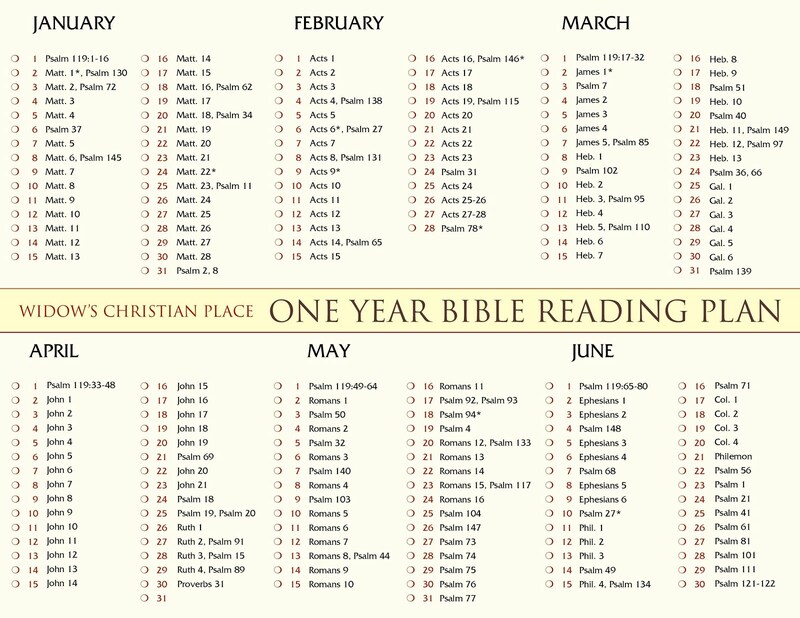 Today I want to show you how to read through the whole Bible in just one year. And next week, we'll look at some devotional books to use. Deciding now if you want to read the whole Bible next year or use a devotional book instead will give you some time to choose what you want to do and make any purchases you need. 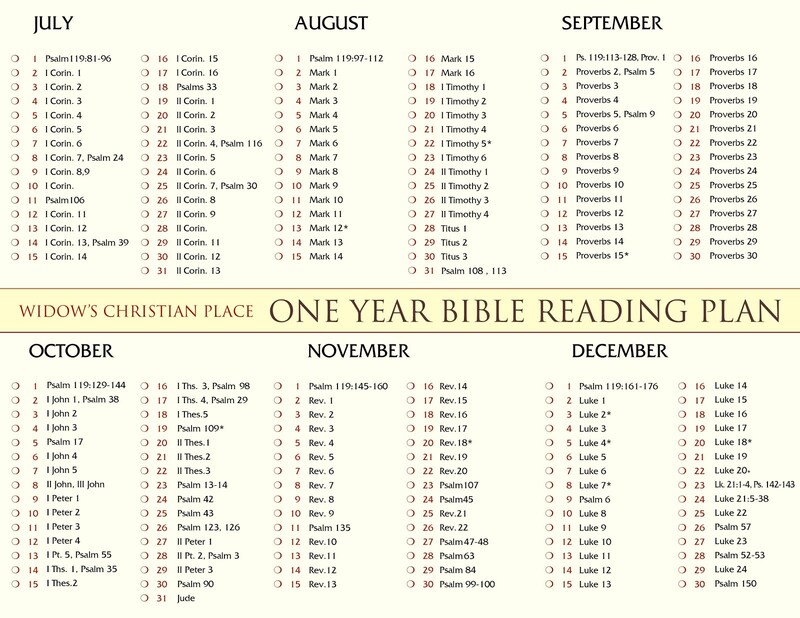 This year I used the Book-At-A-Time Bible Reading Plan from Discipleship Journal and its the best I've found yet. It's free, it's downloadable (so if I lose it I can always print another), plus it offers . . .
Flexiblility: 25 Bible readings/month so I had enough "catch-up on what I missed days." Not that I wouldn't like to read the assigned verses every day of the month, but humanly, I just can't, can you? 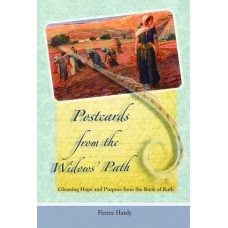 Variety: you read about three chapters a day + one psalm, or chapter in Proverbs Ecclesiastes, Song of Songs or Isaiah. This makes for a great mix! You can read in the morning + the evening, or read both sections together. It takes 15-20 minutes. Complementary readings: Instead of marching right through Genesis to Revelation, this Bible reading plan helps you understand the relationship of the Old Testament to the New. For example, you'll read Hebrews between Levitcus and Numbers and get amazed at how the Old Testament Law was perfectly fulfilled by Christ! It all makes sense! 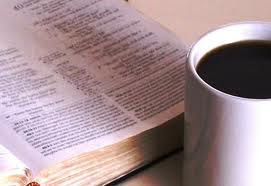 But the important thing is to spend some time in God's Word every day. It's your spiritual food, so don't go hungry. Use this link from Discipleship Journal for the Book-At-A-Time plan. They also have a 5 days a week/ 5 minutes a day plan that will take you through the New Testament in a year. Or google the Christian organizations you prefer. Most of them will have some sort of plan to suggest. Let me know what you find, and I'll mention it next Tuesday along with any devotional books you've found helpful. Be sure to email me with your favorites so I can list them all together next Tuesday. "My Utmost For His Highest"
"Hinds Feet on High Places" by Hannah Hurnard. I read it yet again after D died. I just started reading through the Bible once again about a week ago! I started the straight through method but quite like the sound of the method you described so am off to check it out! I will be checking into this plan.For the last several years I have been using the booklet from Radio Bible Class,Our Daily Bread,but I think I need a change. Thank you! This is the start of a great list for next Tuesday! I tend to prefer reading through the Scriptures without a devotional, but that is simply my personal preference. I read 4 Psalms and the Proverb of the day daily (of course, I miss days here and there, unfortunately). The hardest part is choosing which book to read through along with those Psalms and Proverbs! I just printed off the DJ list to give me another method. Thank you for this website, Ferree. I was widowed on May 17, 2009 (my husband died from complications of brain cancer). My good friend and pastor's wife Carol G in Ohio recommended your site to me, as she has known you for many years. I hope one day when I have learned to deal with the grief that I can minister to other women as well.